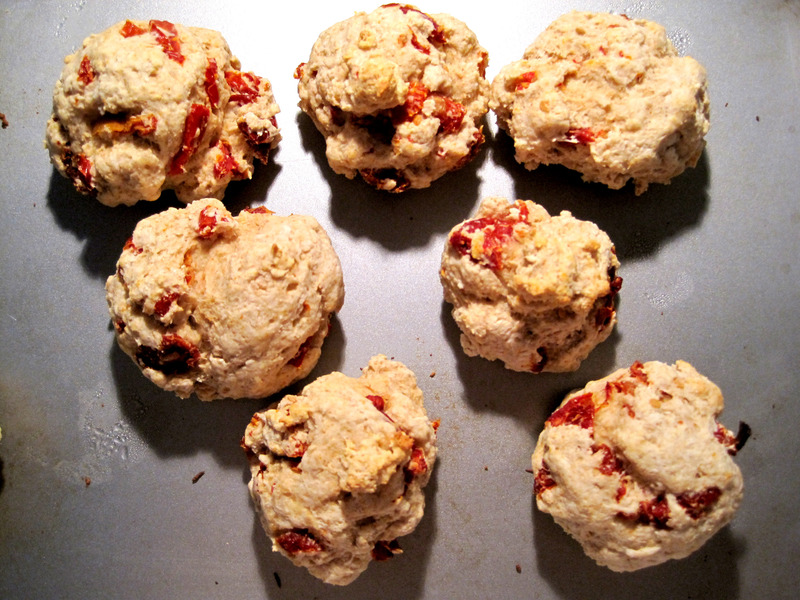 These biscuits were a haphazard post-work creation; I was really itching to make something, and since biscuits are as instant gratification as you could get when it comes to baking, I made some. They were decent warm from the oven but got a little dry as it sat out. I did use the minimum amount of fat needed and I also used olive oil instead of butter for an extra Italian twist. However, reheating made them better; and I’m sure dabbing some butter in a halved biscuit would be quite delicious. Heat the oven to 450 degrees. Mix the dry ingredients together, then add oil. Stir in sun dried tomatoes. Using a large spoon, stir in the yogurt until mixture just forms a ball. Turn dough out onto a lightly floured surface and knead it 10 times; no more. If it is sticky, add a little flour, but very little; it should still stick slightly to your hands. Press the dough into a 3/4 inch thick rectangle and cut into 2-inch rounds. Put on ungreased baking sheet. Gently reshape the leftover dough and cut again. 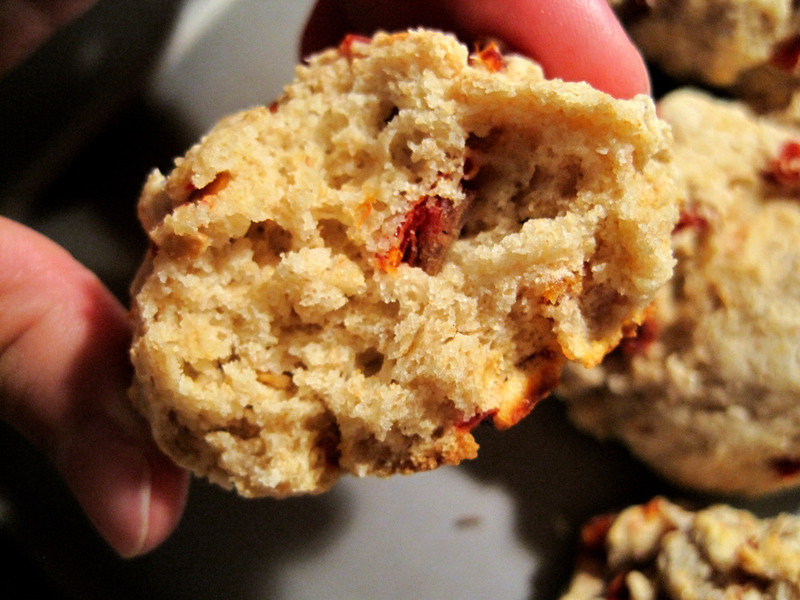 Bake for 7 – 9 minutes or until the biscuits are a beautiful golden brown. Serve within 15 minutes for them to be at their best.